Last year I popped into the Elizabeth Arden Boutique at 62 Queen Street in Auckland’s CBD for the Ultimate Arden Facial, and it reaffirmed for me what an important beauty brand it is. Historic and definitely iconic, it was honour that they chose Auckland as their first flagship beauty retail store outside of the U.S., and it is thriving. Whilst the boutique is an absolute treat of a destination that I wholeheartedly believe needs to be visited by all (and more than once! 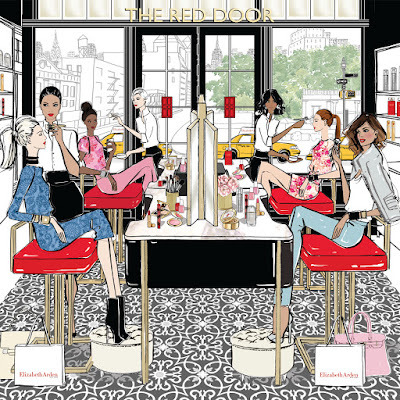 ), Elizabeth Arden are also now bringing a taste of The Red Door experience to consumers worldwide through Red Door Speed Services. 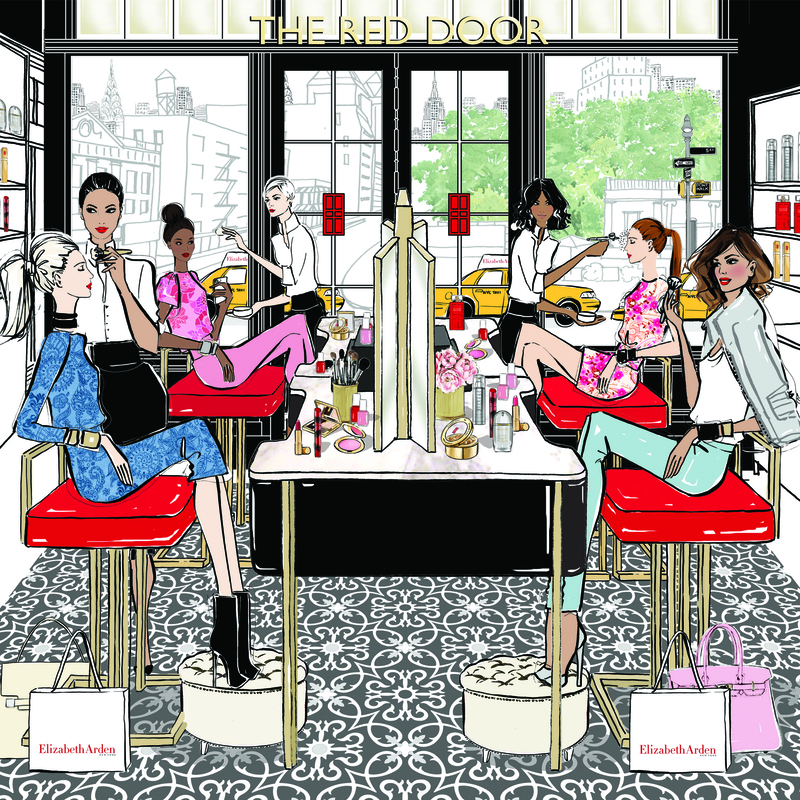 In keeping with the mission to fulfill the total beauty needs of today’s active woman, beauty experts will be offering customers express services at Elizabeth Arden counters globally – including in New Zealand. Booster Bar Customised Oxygen Blasts (available from February): This 15-minute spa refresher includes cleansing and toning followed by a quick mist of your preferred Oxygen Blast serum (Lifting, Detoxifying, Brightening and Hydrating) delivered via an airbrush stylus. The nutrient-enriched blasts with stabilised oxygen, 8 trace minerals, and potent antioxidants like green tea help revitalise, recharge and re-energise skin. The Booster Bar can also be used over makeup to set it for the day. To top off the service, SUPERSTART Skin Renewal Booster, along with complementary Elizabeth Arden serum and moisturiser are applied to the face and neck. Tone It UpTown Targeted Treatments: Lifting, Sculpting, Eye (available from February): Give your facial muscles a power workout to promote lifting and toning. Highly customised treatments feature cutting-edge microcurrent technology to help fight gravity in areas of concern. Enjoy a relaxing massage performed with Elizabeth Arden’s most advanced formulas from Ceramide or PREVAGE® to help firm skin for a more youthful appearance. Shape up with the choice of 3 treatment options: Lifting, Sculpting or Eye. Balancing Act (available from April – limited edition service): This luxurious treatment is designed to boost your entire skincare routine from start to finish. Featuring the new SUPERSTART Probiotic Cleanser and Probiotic Biocellulose Mask, this unique service infuses potent ingredients where they’re needed most to boost your skin’s ability to renew, improve resilience and natural hydration. See skin that looks plumped, refined and radiant in seconds. Kiss & Tell Lip Facial (available from March): This quick 15-minute fixer-upper begins with the beauty consultant applying a sugar Lip Scrub for a gentle, lip-smoothing exfoliation. Next, a hydrating lip mask is applied along with Eight Hour® Skin Protectant. The service is completed with a swipe of your favourite shade of Elizabeth Arden Beautiful Color Lipstick. Makeup Lesson In A Flash (available from February): Become your own colour expert with a flash makeup tutorial. Choose to learn a technique for eyes, lips or makeup trends. Each lesson begins with a luxe mask for your desired area of focus whether plumping up lips or smoothing lines under the eyes. From start to finish, let us custom-match you to your perfect Elizabeth Arden foundation to provide a stunning canvas for your final makeup look. Red Door Speed Services are available in New Zealand at selected Elizabeth Arden counters nationwide: Elizabeth Arden Boutique, Farmers Albany, Farmers Pukekohe, Farmers St Lukes, Farmers Botany, Farmers Manukau, Farmers Te Rapa, Farmers Mt Maunganui, Farmers Tauranga, Farmers Rotorua, Farmers Hamilton, Farmers Lambton Quay, Farmers Palmerston North, Farmers Lower Hutt, Farmers Riccarton, Farmers Papanui, Farmers Timaru and Ballantynes Christchurch. The suggested retail price is just $20 per 15 minute service, which is redeemable on Elizabeth Arden product purchased on the day of the appointment. So what are you waiting for?